Guess who’s returning to Doctor Who? The Guardian reports Tom Baker has donned his iconic scarf once more to film a “lost” episode of the BBC TV show from 1979. 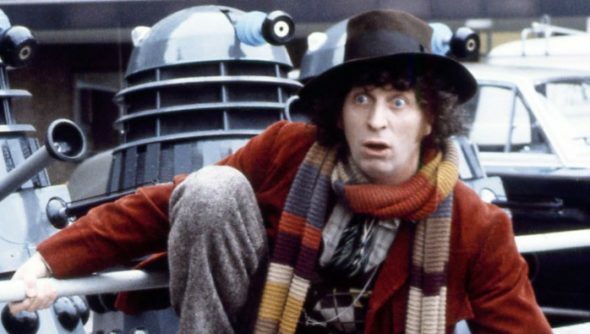 Tom Baker played the Doctor on the long-running sci-fi drama from 1974 to 1981. During Baker’s tenure on Doctor Who, an episode called “Shada” was left unfinished when a strike at the BBC interrupted filming in 1979. Now, almost 40 years later, Baker has reprised his famous role to finish the episode, which was written by famed author Douglas Adams. “Shada” is available to download now on iTunes. It will be released on DVD on December 4th. What do you think? Are you a fan of Doctor Who? Will you watch the “lost” episode? More about: BBC TV shows: canceled or renewed?, Doctor Who (1963), Doctor Who (1963): canceled or renewed?